These waffles are gluten-free for those of us with celiac disease. They also are Paleo. Please see the note at the bottom for an egg substitute for those who can’t eat eggs. 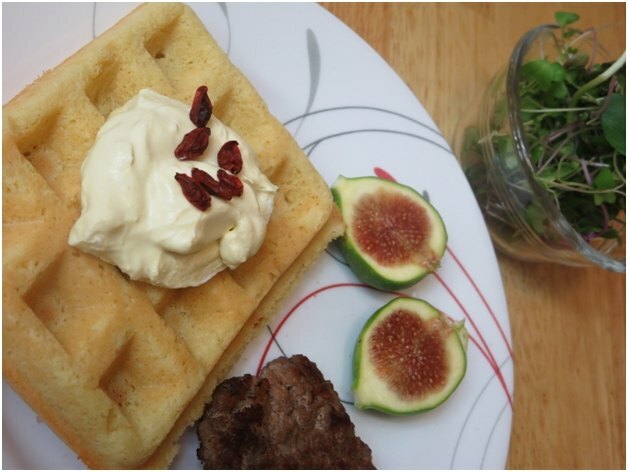 In the picture I topped my waffle with Coyo yogurt, a fermented, low-sugar coconut milk yogurt, and some dried gogi berries. The eggs in the waffles came from Kathleen and Dave’s farm across the state line in Missouri. We make a trip to their farm about every four weeks to pick up six dozen. The sausage came from Bauman’s local farm where the pigs run around and get to express their true pigness on pasture. The fig is the last of the season from our own fig trees. I rounded out this Sunday brunch with a bowl of fresh clipped microgreens and a hot cup of tea. Here is the waffle recipe (adapted from America’s Test Kitchen pancake recipe) . . . .
1. Adjust oven rack to middle position and heat to 200 degrees. Set a wire cooling rack inside a cookie sheet and place in center of preheating oven. 2. 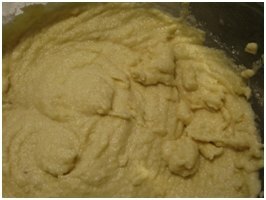 Using an electric mixer or wire whisk beat water, eggs, melted ghee, maple syrup and vanilla until frothy for about 1 minute. 3. 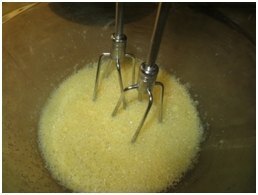 In a separate medium-size bowl combine the remaining five dry ingredients with a wire whisk. 4. 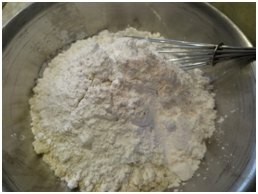 Add to liquid ingredients and beat using the electric mixer or wire whisk until all ingredients are well combined. Let batter sit for a few minutes. 5. Meanwhile, preheat waffle iron. Once heated brush a light coating of ghee on the iron. 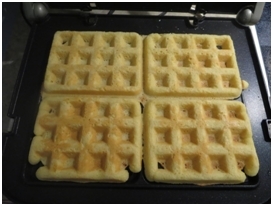 Depending on the size of your waffle iron, scoop about ¾-1 cup batter into each waffle square. You might need to adjust liquid or add a little extra almond flour. The consistency should be like thin mashed potatoes. 6. 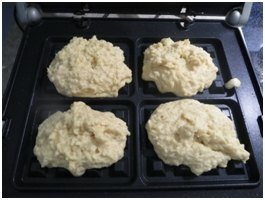 Close waffle iron and cook until light golden brown. Place the first batch in the oven on the wire rack to stay hot and make your second batch. 7. Serve immediately with toppings of your choice or make a breakfast sandwich with two waffles. Freeze leftovers or refrigerate and use within 3 days. These freeze and reheat really well in a toaster for later use so I always make extra! An egg substitute: for each egg, combine 1 tablespoon of ground flax seed or chia seed (measure after grinding or use pre-ground) with 3 tablespoons of water. Stir well, and let sit for 15 minutes. After 15 minutes, the result should be a sticky egg-like substitute. Use this like you would an egg. Adjust recipe to match quantity needed.